Are you looking for a Gas Fitter in Adelaide? Gas issues in your home or business is not something that can be taken lightly. Don’t try to fix it yourself. You need a professional and licensed gas fitter to do the job. Modern Era Plumbing & Gas Solutions provides a wide range of gas fitting services. We are fully licensed and insured and we have the tools and the experience to fix your gas plumbing issues in no time. When you call us, you can be rest assured that you are in the safe hands. We provide upfront pricing (with no surprises) and we aim to fix the problem quickly and efficiently to minimise disruption in your home or business premises. If you smell gas and you are sure that you have a leak somewhere, then call Modern Era Plumbing & Gas Solutions immediately. Only expertly trained gas plumbers are able to handle the repair work. These dangers are well known, and it is why we only employ the licensed plumbers in the business. We are experts in the installation of new gas units. Our plumbers fit gas units in businesses, existing or new homes. Using the correct skills, we can install your equipment in a manner that is both safe and secure. If you are experiencing a problem with your hot water system, then call us as soon as possible for a quote. 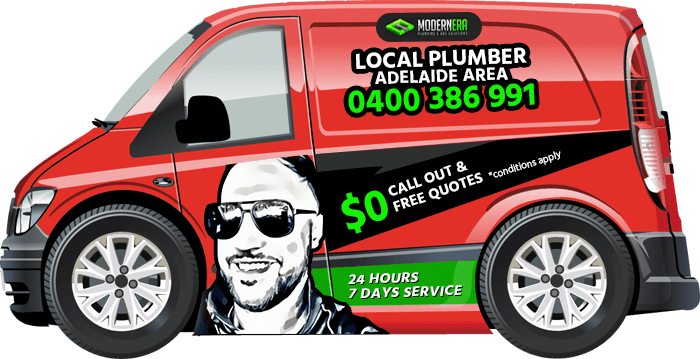 All of our Adelaide plumbers have extensive experience in repair and maintenance work and new installations. Gas Plumbers are available in Adelaide, Glenelg, North Adelaide, Edwardstown! You can rely on us 24 hours a day, 7 days a week!